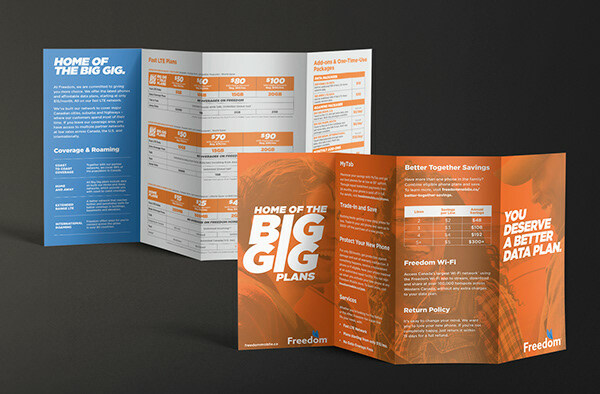 a rapidly-growing cellular company in Canada. 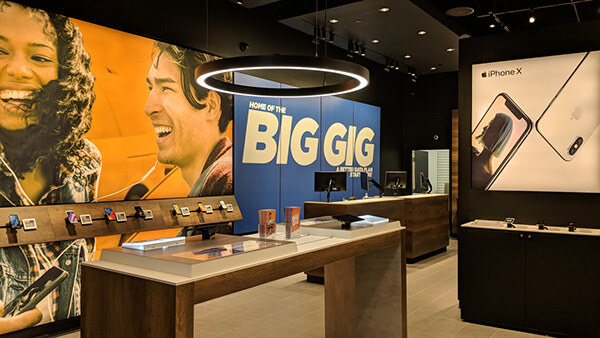 We began with the development and construction of both kiosk and inline prototypes in various malls across Canada. 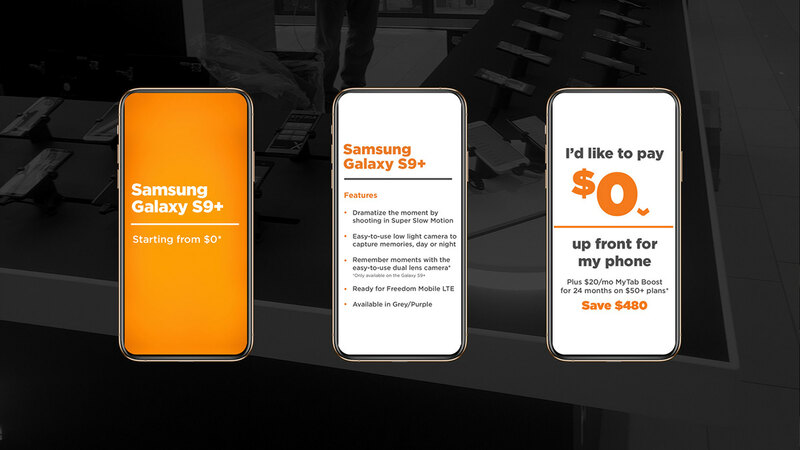 We also created custom on-screen messaging for the live phone displays. 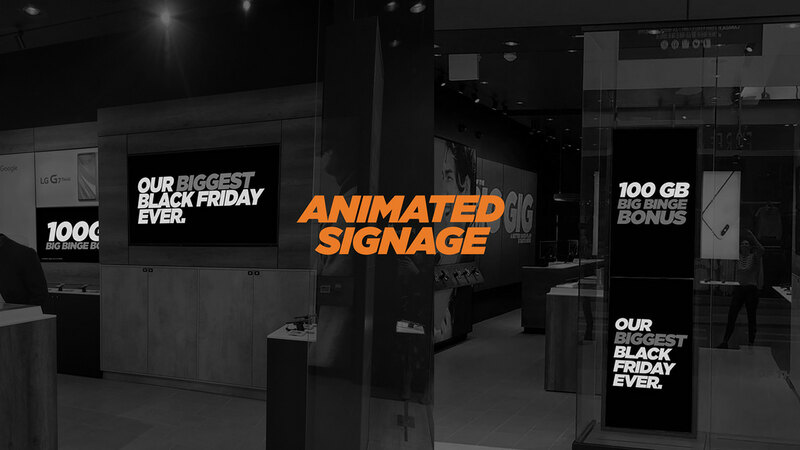 This provides an opportunity to display branded content while idle and has device-specific promotions when a customer interacts with it. 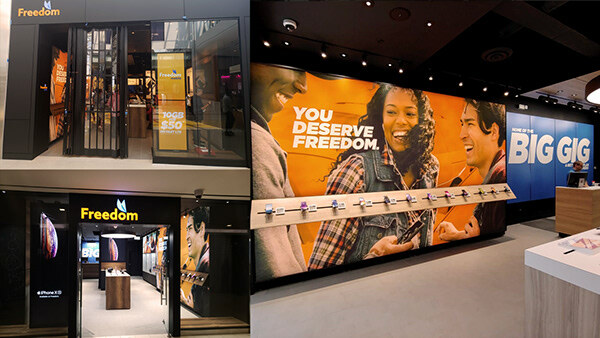 We also took this opportunity to redesign our print collateral and in-store signage in our existing stores. 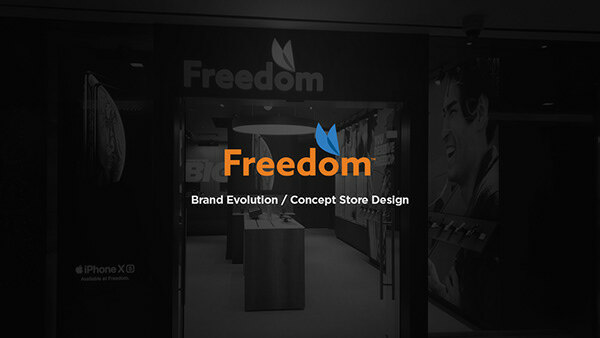 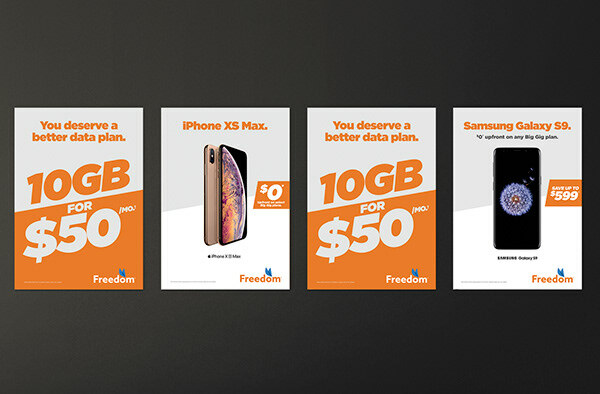 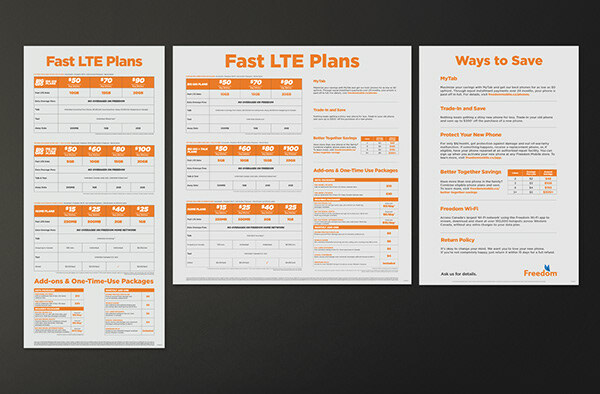 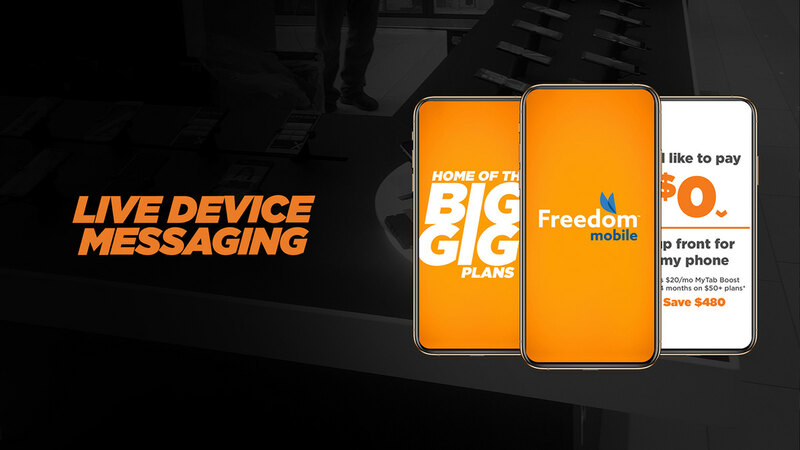 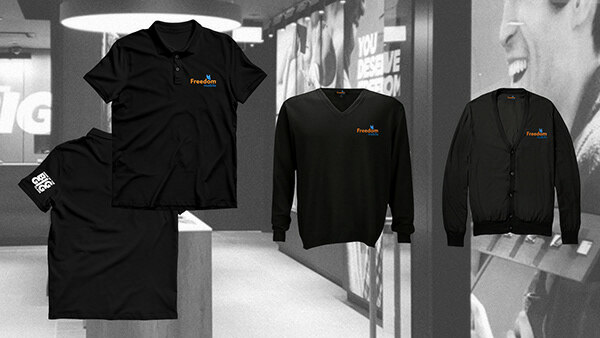 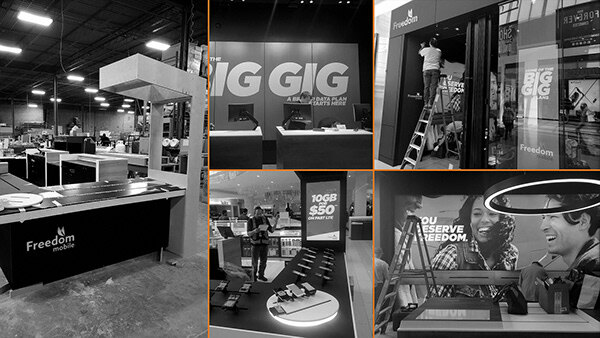 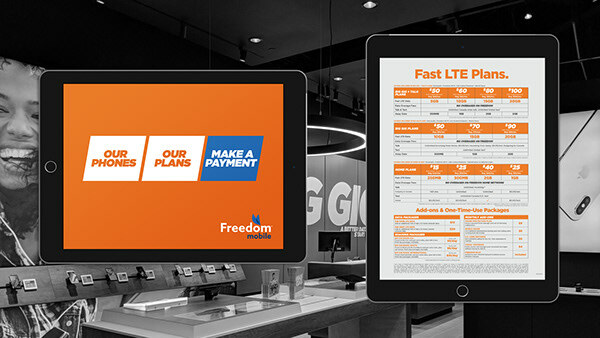 Concept store design and production for Freedom Mobile - a cellular / telecommunications company in Canada.